Chef Luigi recently created a non-profit organization in Basilicata, Italy called Basilicata: A Way of Living, which will help to promote tourism, employment and traditions on the brink of extinction. Two of it’s most prominent projects to date are the annual Transumanza and Pasta Lab. 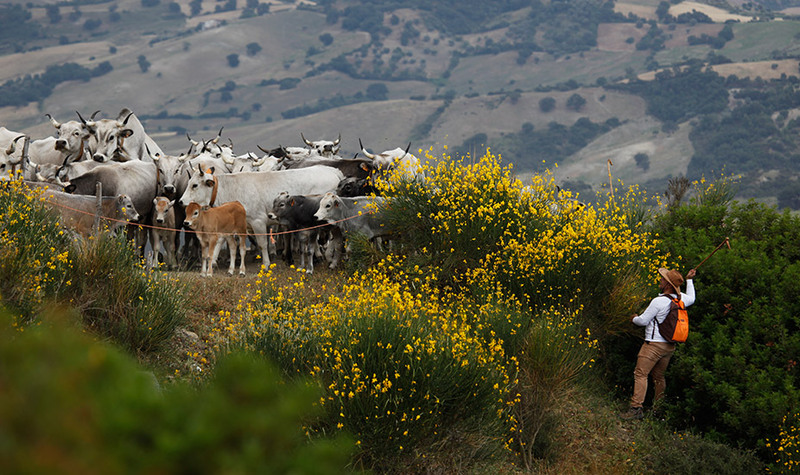 Each year Chef Luigi travels back to Basilicata and takes part in a 3,000 year-old tradition called la transumanza (“crossing the land”) and refers to the process of moving cattle from the lowlands to their summer pastures in the mountains, and then back again. He is honored to have so many residents and community leaders take part in this time-honored ritual and that Basilicata: A Way of Living is an official sponsor. At Al Tiramisu and Aperto, Chef Luigi and his teams hand-make dozens of kinds of pasta for their dishes, and as an enthusiastic fan of pasta, he promotes Pasta Lab which pairs professional chefs with talented home cooks, mainly grandmothers, who are often the custodians of cooking traditions. In accordance with Basilicata: A Way of Living’s philosophy, the mission of Pasta Lab is to help preserve the region’s distinctive pasta-making customs. It provides the perfect platform for artisan pasta shapes such as orecchiette, tagliarini, strascinate, manate, raschiatelli, scorze di mandorle, fusilli al ferro, cavatelli, foglie d’olive, from Basilicata to be preserved.